Today I wanna take the opportunity to dedicate this blogpost to my big sister! I have two, but it's Evelina's birthday today. I was trying to pick out a photo to post on instagram, but I just couldn't decided on one. So many fun memories, I just had to share some of them with you all. And Evelina, this one is for you!!! From Evelina's release of her album "Take Me To the Cross" that I got to be a part of. Everybody who knows us, knows we have a very special bond. We text each other so much each day it's almost unhealthy, haha. I get a: "Are you alive?" if she haven't heard from me around 10 am. I think what made our relationship so strong, is partly because of music. Even when we were in different stages in life, we always had music in common. 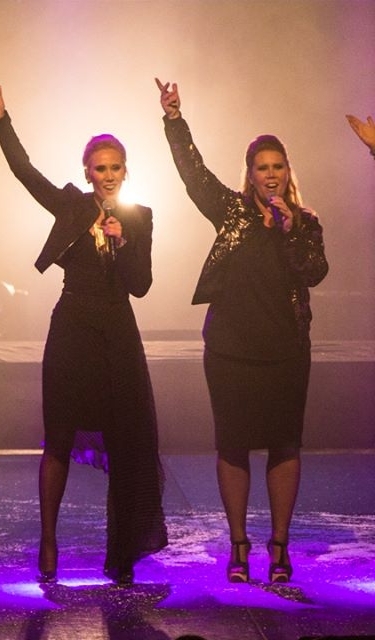 There's no-one I love singing with more than with my sister! I'm so happy to have someone that I can turn to for musical feedback, or talk ideas and so on. Also, starting and leading a choir together was so much fun. One dear memory is actually from when Evelina was in like 7th or 8th grade, and I was still in elementary school. I think I had been to the dentist, and was on a bus and my sister walks on the same bus with her cool girl pals from school. I was thinking that I better not disturb and didn't even say hi. I was sitting in the back of the bus watching them, thinking they were so cool, when all of a sudden my sister noticed me. She was so surprised seeing me there in the back and called: "Johanna, what are you doing back there? Come sit with us!" Sounds like a silly memory, but I loved that about my sister growing up: kind, caring and fun to hang out with. I think I was pretty annoying, because she once told me she's happy I remember it that way, because she remembers hitting me all the time! Haha! Another very dear memory from my childhood is about this time when I was walking over to this girl I played with all the time. Let's call her Lotta. We had planned to hang out that day. We always had fun and she was really sweet. But this time this other girl from our neighbourhood was there, and she was REALLY bossy, and would decide who could join and who could not. Let's call her Lisa. When I showed up they were jumping on a trampoline. Right at the moment as I walked in Lisa meanly told me: "You can't join us! Only the two of us can jump!". I felt so stupid I instantly turned around and walked back home. As I was sitting there watching TV, trying to hold back my tears, Evelina walked in. Not knowing I went through a minor crisis, she tried to be silly and joke with me like always did and said: "Johanna, I think you sound just like Cyndee Peters when you sing!" Hilarious, and also a nice compliment. I love Cyndee! Great singer! I don't think I sound much like her though, especially not as a kid :) Anyway, to Evelinas shock I bursted into tears. Evelina abruptly stopped laughing and looked horrified and quickly said: "Noooo Johanna, I was just joking!!! Of course you don't sound anything like Cyndee Peters!" (That whole conversation is just so funny thinking back at it. I'm laughing as I'm writing). I cried out: "It's not thaaaaat! I walked over to Lotta to play, and Lisa was there and told me I couldn't play with them". My sister got so furious! She said: "Let's go there". We walked over to Lottas place. My sister walked ahead of me, and I was hiding behind her. She furiously asked Lisa: "Why would you tell my sister that she can't be here? This isn't even your place, and you don't decide!" I was standing there in the background, really enjoying the freaked out expression on Lisas face. When Lisa didn't answer, my sister turned around dramatically and said: "Come on Johanna, let's get out of here!". Then we walked away, went to the candy store and got... well, candy, and walked home and watched a movie and had a really good time! We've traveled quit a bit. Here's from our first trip to the USA. 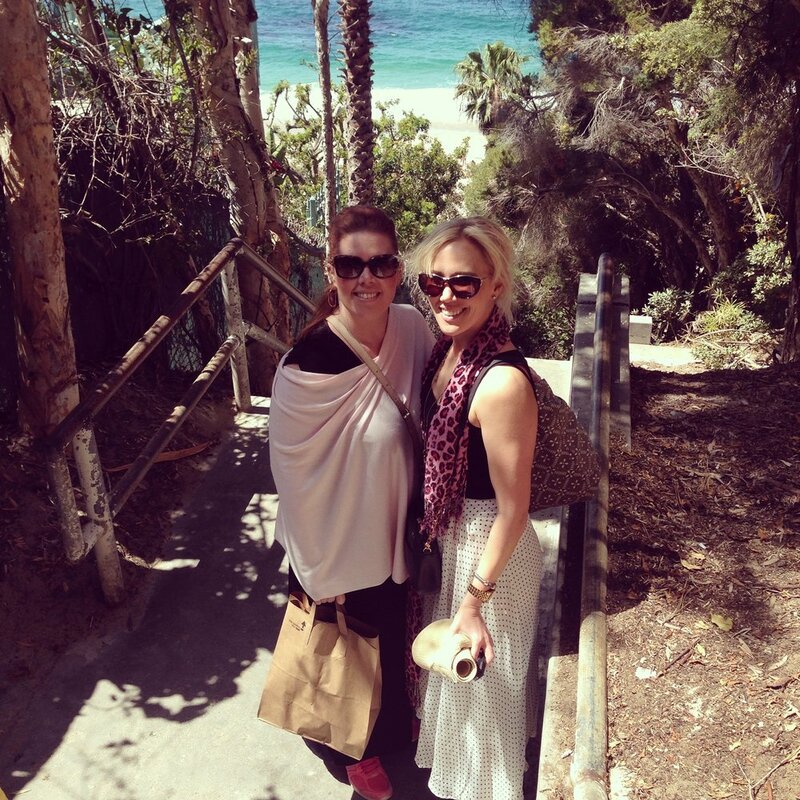 Look at us on that picture on the left, hanging in New York, and Evelina posing on the beach in California. No, that's not a little boy on the pictures... that's me!!! Mom, why didn't you tryyyy to do something about my hair??? Spring 2015 we spontaneously went on a trip to LA together. Evelina, thank you for being who you are! Jag älskar dig! Grattis på födelsedagen! Raise Those Jazz Hands, It's Almost St Patrick's Day!